Thrillseekers are being challenged to ride the rapids and test themselves to the very limit over six miles of the River Tay to help raise funds for Hansel. The Ayrshire charity is challenging people to take part in an action packed white water rafting adventure on Sunday 28th of September. Hansel is a leading social care provider, based in Symington, offering a range of services to people living with learning difficulties including small group living residential accommodation and supported living, short breaks, respite care, employment opportunities and supports, and transition support services, including young people living within the autistic spectrum. 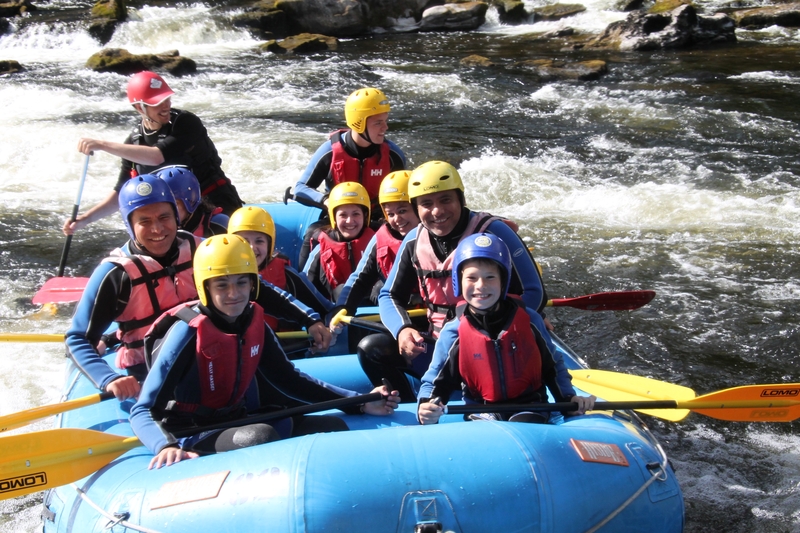 Leaving from the market town of Aberfeldy, teams of eight to ten people will navigate the river past rolling countryside and spectacular scenery before taking on the foaming rapids at the end of the course. The wet n wild event is open to everyone over the age of 10, and costs £40 per person. The price includes all kit and equipment; a fully trained guide on board each raft and professional photography throughout the day so those taking part can relive the experience over and over again. Tammy Robinson of Hansel is working with Splash White Water Rafting on the organisation of the event. She said: “It is going to be an amazing experience and the money will go to a fantastic cause, our new Enterprising Minds project, which will support people with learning disabilities and younger people with Autism or Asperger’s to develop their entrepreneurial spirit in the heart of local communities. It is hoped that everyone taking part will raise a minimum of £50 sponsorship for Hansel.